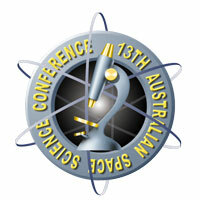 The 13th Australian Space Science Conference (ASSC) was in Sydney at the University of NSW over September 30 to October 2, 2013. Delegates can upload their conference presentation or paper for peer review here. File extensions allowed are zip, jpg, pdf, txt, doc, docx and are limited to 15MB in size.